The Amalfi Coast is the stretch of coastline on the Gulf of Salerno ranging from Vietri sul Mare to Positano. This is definitely one of the most famous places in the world. And with reason: the way of just over 40 kilometers above the sea offers a unique spectacle. And the towns that are scattered around are pearls of history, tradition, hospitality and especially good food. 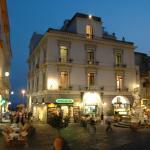 The hotels on the Amalfi Coast are of high-quality. It is advisable to book in advance, especially during the month of August, as there are hundreds of thousands of tourists coming for short or long periods in this corner of paradise. The Amalfi Coast encapsulates everything that a tourist can look for in a holiday location, natural beauty, culture, any sort of solutions for accommodation. 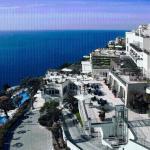 On the coast there are many good quality hotel, rather prestigious or family-run, all ready to welcome tourists. 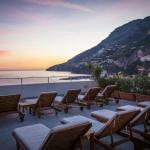 Why don't treat yourself to an unforgettable stay in the Amalfi Coast? View the hotels on the interactive map, choose yours favourite among a host of proposals: from 3-star hotels in Positano and Ravello, to 4-star hotels in Praiano and Maiori, or a marvellous hotel in Amalfi and why not a B&B in Minori. 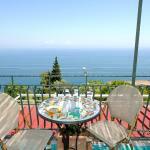 Just choose and book the Amalfi Coast! Beauty beyond every figment of your imagination. A natural amphitheatre of rocks, scents and charms; an oasis of peace and unusual wonders, even off-season, the Amalfi Coast is an irresistible attraction. A strip of land, high above the sea, in which you can encounter a multitude of sunny and picturesque little villages. Just a few kilometres of coastline are enough to show you a whole world of touching and unusual wonders, harmonic blend of colours and proportions that even the most sophisticated traveller is taken by surprise. On the Amalfi Coast there are famous places popular around the world and others to be discovered step by step. Every town has something to show and tell, every corner of the road that climbs up the cliff offers breathtaking scenarios in a wild and pristine nature. Starting from Amalfi, scented land with lemons as far as Vietri sul Mare, cult town of the ceramic industry of this area. Atrani has the main square overlooking the sea. Furore is in a fjord surrounded by water. Minori has always been a place of nobles and snobs. Maiori has the longest beach on the coast. Conca dei Marini boasts the presence of the magnificent Emerald Cave. Positano is beach, amazing landscapes and shopping, of course. The gentle, mild whether, the warmth of the places and their people, the richness of plants and fruits, the originality of the handicrafts and the unforgettable cuisine make the Amalfi Coast a favourite and well loved place. The Locanda Costa d'Amalfi is situated 2 km away from the centre of Amalfi, on the road to Positano, and a short walk from the stop where buses take to Ravello, Furore, Conca dei Marini and Praiano.